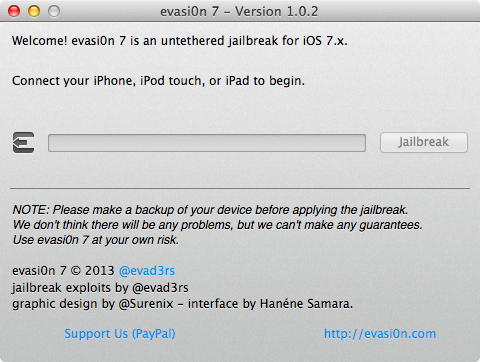 I wrote the last post which was on Download Evasi0n7 Jailbreak Tool v1.0.1. Have you read it? No…Yes. Leave it but now there is another new update for Evasi0n7 1.0.2 released in 2013 for both Windows and Mac like previously released . Why Evasi0n released their new update for public? Because Evasi0n team has fixed various bugs during Jailbreaking procedure and Wi-Fi loop was affecting iPad 2 Wi-Fi users and also get the entire back for iPad 2 Wi-Fi models. In brand new evasi0n7 v1.0.2 will solve the boot loop problem/issue with your precious iPad 2 Wi-Fi device/gadget. There is good news for iPad 2 users, now you can easily Jailbreak iPad with lately released evasi0n7 jailbreak v1.0.2. Before the release of the brand new Evasi0n 7 Jailbreak, plenty iPad 2 Wi-Fi users have been complaining and reporting about various bugs on iJailbreak and device stuck in boot loop after using evasi0n7 jailbreak on their iPad 2 devices. My developer’s team asked developers of evasi0n7 jailbreak tool to get rid of the issues with iPad 2 but there is a problem while contacting them there was quite busy due to holidays. Hence, holiday season is almost finished and now we have brand new evasi0n7 jailbreak v1.0.2 tool to showcase in front of users. 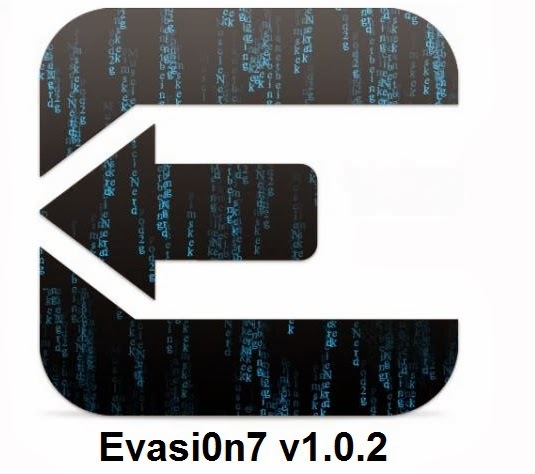 With respect this launched of Evasi0n, eventually allow iPad 2 users to use stable Jailbreak on iOS 7 along with their devices. I know guys your time is so important for you and your family so without running off time, here you can use evasi0n7 v1.0.2 download links for both Windows and Mac. As I said earlier evasi0n7 v1.0.2 is usable for Windows and Mac Operating Systems (OSX) running users. If other users want to use so you guys use other options also like RageBreak, and Opensn0w program to Jailbreak iOS 7 on their iPhone, iPad and iPod touch. 1.0.2 (beta) is up on http://t.co/rOYuXTG2Fk. Fixes iPad 2 wifi boot loop. How to jailbreak iOS 7 with Evasi0n7?